It is important that a party trying to incorporate an exemption clause must take reasonable steps (at or before the time of contracting) to bring the party's attention to the clause. Recall the principle in L'Estrange v Graucob: Signed document rule. [T]he more unreasonable a clause is, the greater the notice which must be given of it. Some clauses would need to be printed in red ink with a red hand pointing to it before the notice could be held to be sufficient. It is vitally important to explore the High Court's recent decision in Toll (FGCT) Pty Ltd v Alphapharm ('Toll'). In Toll the High Court had to consider whether exemption and indemnity clauses in a credit application, signed by an agent of the plaintiff, were binding. Although the High Court did not specifically refer to the red hand rule, what the court had to say in its unanimous judgment signals a clear answer to the question whether the red hand rule applies to signed documents. In Interfoto Picture Library v Stiletto Visual Programmes, the delivery note was an unsigned document, and the question arose as to whether reasonable notice had been given in relation to condition 2 which provided for the return of all transparencies within fourteen days with some holding fee for each late day. Bingham LJ: followed on Lord Denning's approach in Thornton's case holding that appellant should have realised that the delivery note contained contractual conditions but only those which one might usually or reasonably expect. His Lordship concluded that the appellant was relieved of liability not because it had failed to read the conditions, but because the respondent did not do what was necessary to draw the unreasonable and extortionate clause to the appellant’s attention. The Interfoto case did not apply in Le Mans. 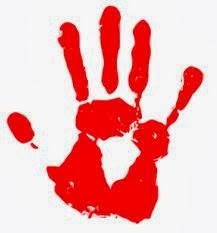 The requirement of reasonable notice, and therefore the red hand rule does not apply to signed documents. In the High Court's unanimous judgment in favour of Toll, the rule in L'Estrange v Graucob was strictly applied. Referred to Mellish LJ in Parker v South Eastern Railway and Brennan J in Oceanic Sun v Fay. The High Court has said: [t]he general rule, which applies in the present case, is that where there is no suggested vitiating element, and no claim for equitable or statutory relief, a person who signs a document which is known by that person to contain contractual terms, and to affect legal relations, is bound by those terms, and it is immaterial that the person has not read the document. L’ Estrange v Graucob explicitly rejected an attempt to import the principles relating to ticket cases into the area of signed contracts . The Court held that the signed document was clearly contractual and intended to affect legal relations between the parties. The High Court was undoubtedly influenced by the commercial nature of the contract. The Court made it clear that in such circumstances, the objective approach is to be taken to determine the intention of the parties.